Have you ever seen a foot fitting in the palm of your hand that is not that of a child? Female foot-binding is a practice as old as a millennium that used to be widespread among Chinese women until earlier 21st Century and was officially banned in 1912 by the Republic of China. You may wonder why the practice had been around for so long, and the answer is not that easy. In China, a lotus foot, as small as 3 inches, was considered a symbol of feminine beauty, sensuality and elegance. As a foot this small was rare to find among adult women, foot-binding had to start as soon as possible in order to prevent its natural growth, usually around the age of 5, and took about 2 years to complete. The girl’s feet would first be treated with hot water and oil, then all toes, except the big toes, would be broken and bound to the soles to form a triangular shape; finally, the feet were bent double and wrapped in a silk strip that would have been changed every two days to avoid infections. After the treatment, girls had to walk for long so to facilitate the breaking of their arches so that heal and shoe would crush together to fit in smaller shoes. There are many versions about the origin of foot-binding. 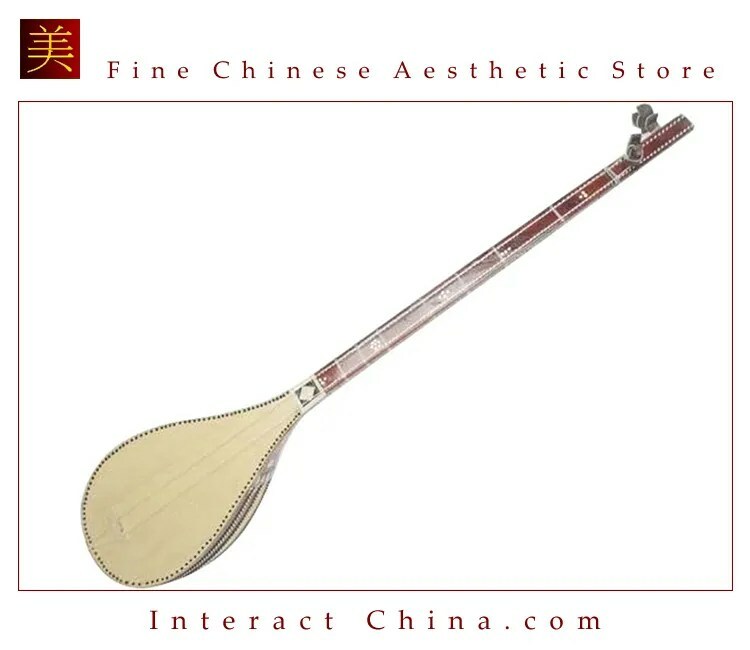 What is certain is that this practice was particularly popular during Song dynasty. 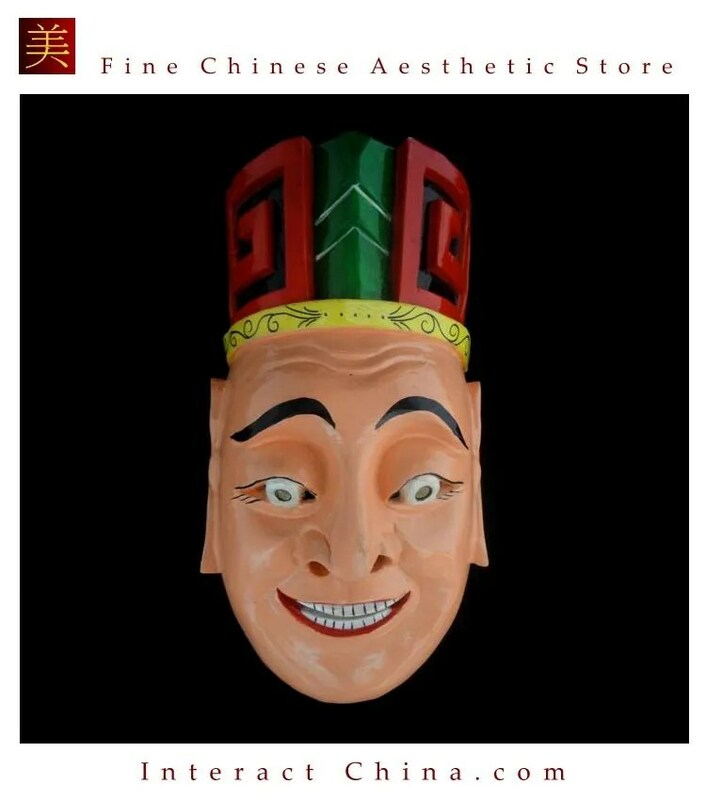 However, a common belief relates the invention of foot-binding to the period of Tang dynasty, around the 10th Century and thus before the Song. Emperor Yu Li asked his concubine Yao Niang to dance on her toes on a six-foot tall golden lotus. Yao Niang binded her feet in white silk so to perform the dance which was so enchanting that every woman in Court had wanted to imitate her ever since. Historically, the first archeologic evidence about foot-binding in Ancient China dates to 1243, during the Song period, in the tomb of a 17-year-old girl named Huang Sheng. Foot-binding had never been imposed by law. Then why did it last for so long in first place? As already mentioned, a lotus foot was an aesthetic requirement for a Chinese woman and soon became a status symbol. Women with bound feet were typically regarded as particularly attractive and seductive. This is also encouraged by the soft and slow way in which women need to walk because of the pain and uneasiness caused by the binding. Among many aspects, one important reason why foot-binding had been widespread until later years is its relation to Han culture. After their invasion of China in 1636 and the establishment of Qing dynasty, the Manchus imposed to the conquered their costumes and traditions and among made several attempts to ban foot-binding. Consequently, Han people, who also represent the majority of Chinese nowadays, kept practicing foot-binding as a way of resistance to the ‘barbaric’ oppressors who, on their side, stopped trying to ban it. 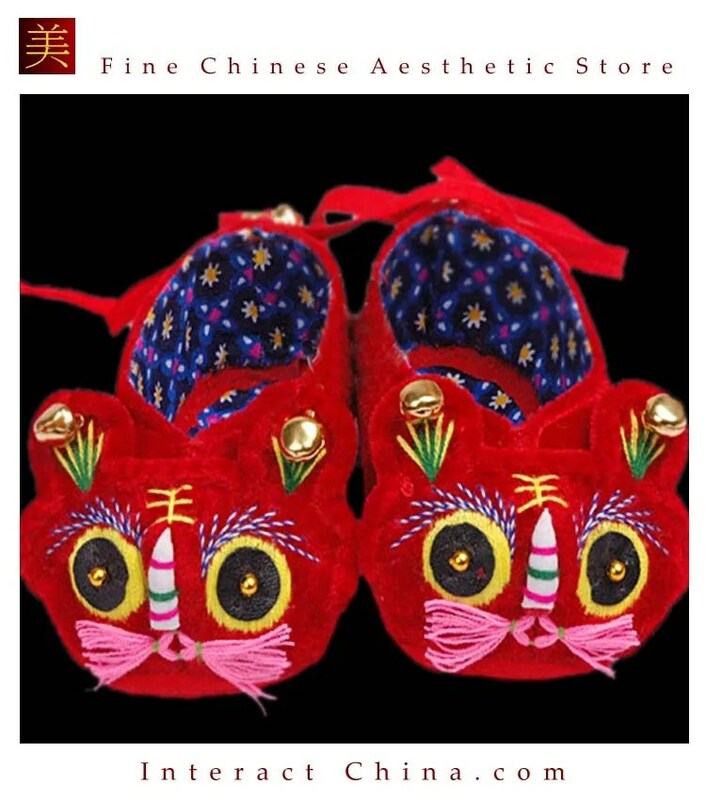 During the Qing Dynasty and up until the 19th Century, bounded feet increasingly became a mark of beauty and turned into an advantage for finding a wealthy husband. After the arise of many protests within the Chinese community, in 1912 the Republic of China officially banned foot-binding, but lack of enforcement and resistance didn’t stop it from being diffused until 1990s, when the practice had disappeared with the last generation of lotus feet women. By the end of the 20st Century all shoe factories in China had closed due to the lack of demand. The last factory, Zhiqiang in Harbin, was shut in 1999 with all the unsold stock being donated to the Heilongjiang Museum of Ethnography. Because of the pain caused by the broken bones and the awkward position of the feet, women could barely walk and so spent a lot of time home hand-sewing and embroidering to embellish their lotus shoes. But what did this footwear look like? As the name suggests, the lotus shoes recalled the shape of a lotus blossom with their cone shape. 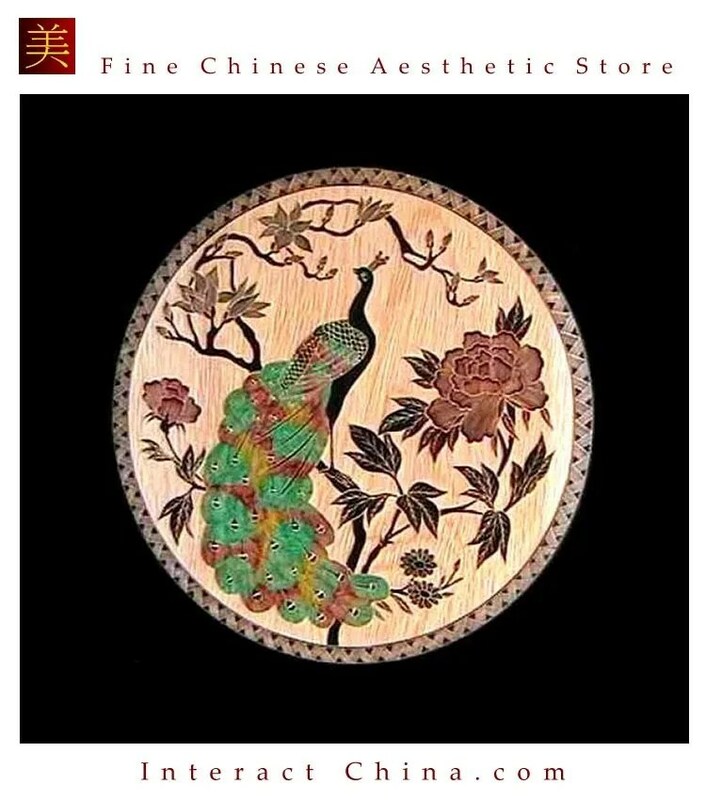 They were usually made of cotton and silk and enriched with fine embroidered or hand-sewn patterns, representing animals, flowers or ‘shou’, the symbol of longevity. The style and colour of lotus shoes varied according to the occasion. For example, while brides typically wore red shoes, the colour yellow was usually reserved to aristocracy, Imperial members, and in general wealthier classes. Nowadays, foot-binding is quickly stigmatised as an unnecessary and cruel practice aimed at perfect female bodies, compared to tight corsets. But the truth is much more complex than that, and the story of foot-binding tells us that there was a time when cultural identity would have been defended at any cost. Aileen & Norman co-founded Interact China in 2004 with specialization in fine Oriental Aesthetic products handmade by ethnic minorities & Han Chinese. 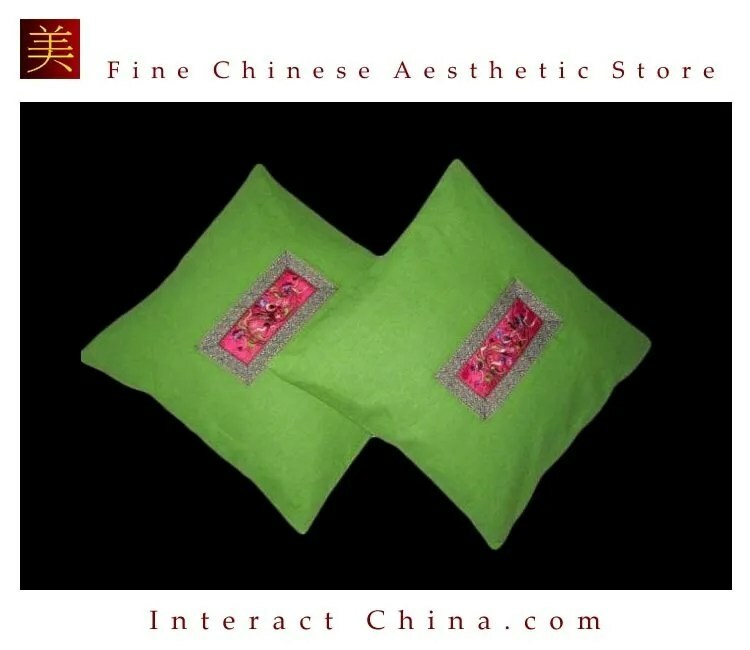 Having direct partnerships with artisans, designers, craft masters and tailors, along with 13 years of solid experience in e-commerce via InteractChina.com, we are well positioned to bridge talented artisans in the East with the rest of the world, and directly bring you finely selected products that are of good quality and aesthetic taste. 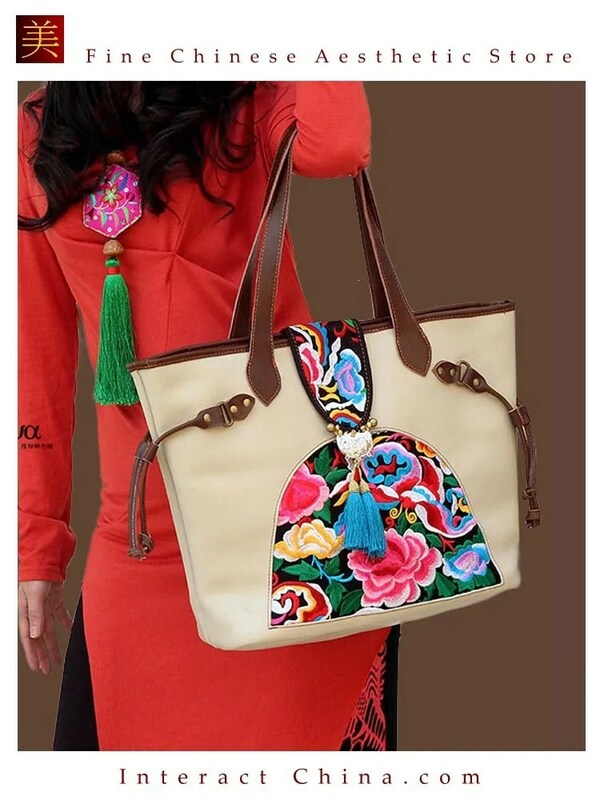 So far we carry 3000+ goods covering Ladies Fashion via ChineseFashionStyle.com, Kungfu Fashion, Home Furnishings, Babies & Kids, Painting Arts, Textile Arts, Carving Arts, Tribal Jewelry Art, Wall Masks and Musical Instruments. Our team speak English, French, German, Spanish and Italian, and serve customers worldwide with passion and hearts. In China, the Dongba culture, associated with Lijiang City in the Yunnan Province and Muli District in the Sichuan Province, refers to the traditional culture of the Naxi ethnic group. The Naxi live mostly in northern Yunnan, in Lijiang, Weixi, Zhongdian, Ninglang and Yongsheng prefectures. The Dongba culture is based on the polytheistic religion of the same name and also has own writing, dances, paintings and music. “Dongba” is the name given to shamans, types of wizards, who transmit this culture from generation to generation. The Dongba priest is an important figure in the community because he preaches the harmony between men and nature, which is a fundamental value among the Naxi people, just like the cult of the ancestors. The Dongba religion, more than a thousand years old, has been influenced by Tibetan Lamaism over the centuries, but also by Taoism and Chinese Buddhism. In this religion, the elements of nature are considered as gods who rule the world. From an artistic perspective, Dongba culture is indeed very rich because it is transmitted and expressed by music and painting. Many colorful scrolls depicting religious scenes or deities can be found in Lijiang. The city of Lijiang is a research center which studies the Dongba culture and keeps all objects related to this culture. Many Chinese and foreign researchers come to this place to study this fascinating culture. In religious rituals, the Naxis dance in their traditional costumes reminiscent of Tibetan ones. They also sing sacred texts, written in Dongba. The dongba or tomba script (in romanized Naxi: ‘na-‘khi ²ggŏ-¹baw) is one of the scriptures used to write in the Naxi language, which is spoken by the Naxi people. 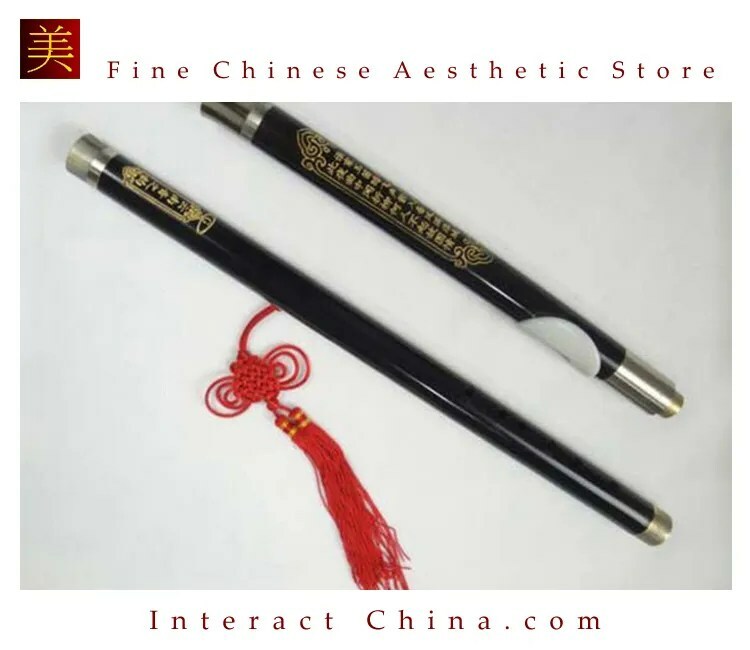 It is more than 1000 years old and is probably the only predominantly pictographic writing system used today; however, some characters are used as syllabic characters. There are currently 2000 religious works written in the Dongba language in which more than 2000 pictograms are used. These books are of crucial importance to understand the Dongba culture because they inform us about religion and customs but also about philosophy, history, literature, astronomy, medicine, fauna and flora as well as the paintings and music of this culture. In the Lijiang prefecture in particular, the signs are usually written in dongba, han Chinese and sometimes in English. There are also dongba – hanzi / english dictionaries in the bookstores of the city. Dongba calligraphy is still practiced by using bamboo stencils, as well as prints, both of which usually use a high-quality handmade paper specifically made for Dongba. The traditional production of dongba paper uses the bark of two shrubs, wikstroemia delavayi and wikstroemia lichiangensis, growing at an altitude of 2,000m above sea-level, as in the canton of Sanbei. The barks are cut into thin strips, soaked in a tray, and then dried on boards in the sun. There are also many murals of this writing, in bas-relief or painting. The weaving and dyeing techniques of the Li* have a long history and unique characteristics. 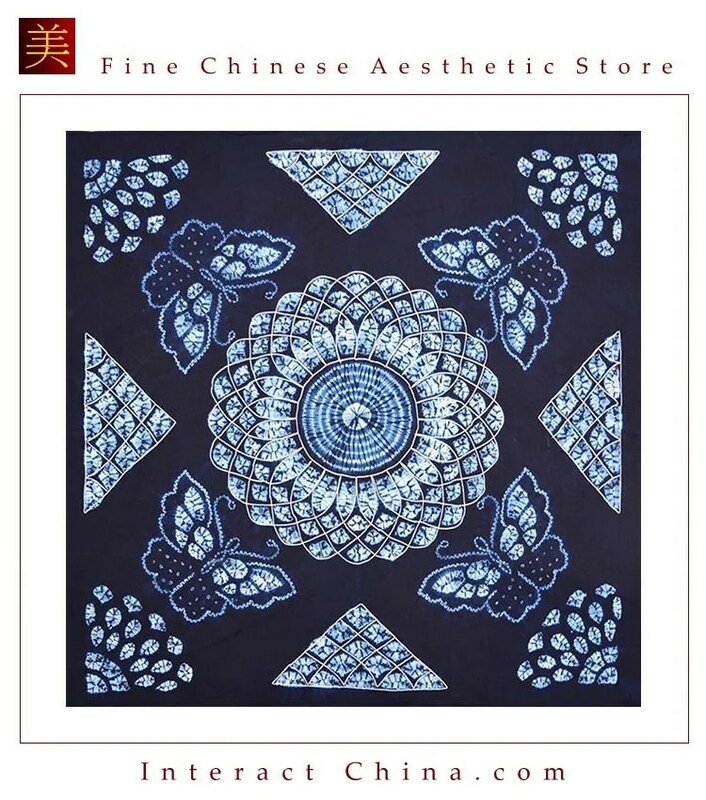 The Li mainly produce linen fabrics, cotton, brocade, printed and dyed products, embroidery and long bedspreads (a kind of brocade, the most delicate to make). Li women are skilled in spinning and weaving, and especially show their ingenuity in spinning and weaving “bombax” cotton and local cotton. Even before Song Dynasty (960-1279), Li women already knew how to weave and could weave colorful bed sheets and curtains. According to historical records, the traditional spinning and weaving techniques of Li cotton have a history of more than 2,000 years. Since the Han Dynasty (207 BC-220 AD), Li brocade has been offered as a tribute to feudal emperors of later dynasties. Cheng Bingzhao, a poet of the Qing Dynasty (1644-1911) once praised the exquisite work of Li brocade in these terms: “Li brocade is as beautiful and brilliant as the sun in the sky “. 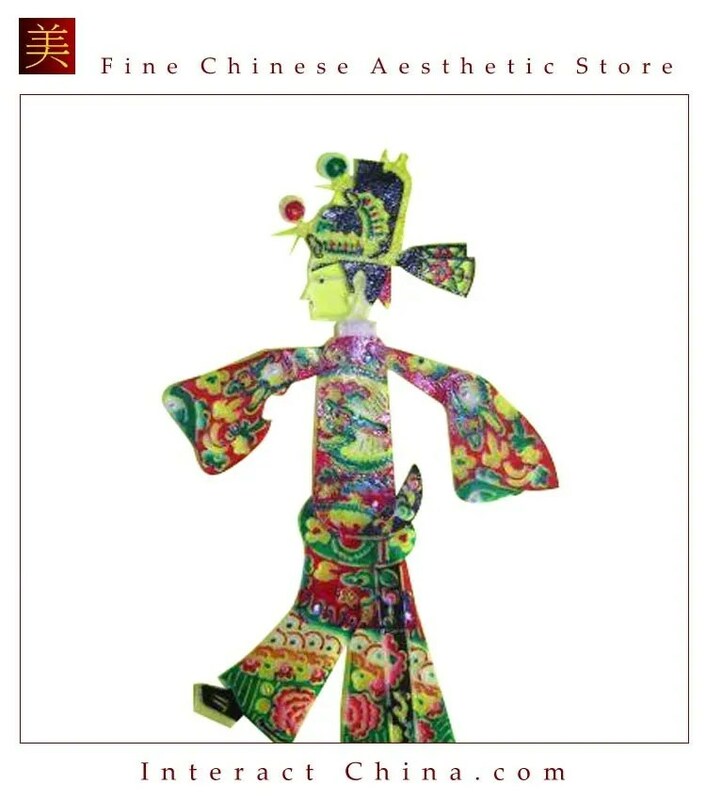 “Li” brocade is appreciated because it is exquisitely manufactured, beautiful in its design, practical, and has the characteristics of the spinning, weaving, dyeing and embroidery of the ethnic group. The Li minority has its own spinning, weaving, dyeing and embroidery techniques and, in different regions, has also developed them according to local preferences. Spinning: The main tools involved are the hand wheel and the wheel driven by a pedal. Spinning using the hand wheel is the oldest spinning technique. Before cotton sheets grew in popularity, wild linen sheets were predominant in areas inhabited by the Li minority. People peeled the wild flax fibers they picked up during the rainy seasons and turned them into a base material after soaking and rinsing. After dyeing, they spun it by hand or with the spinning wheel and wove it. Dyeing: The dyes are based on wild or cultivated plants. They are characterized by bright colors, speed of catch and various resources. Dyeing is important empirical knowledge of the Li people. In the Meifu dialect area there was also a knot dyeing technique, called “Jiaoxie dyeing” in the old days. This unique process follows the process of “knotting first, then dyeing and finally weaving” and has obviously integrated these three techniques. Weaving: There are mainly two types of looms, the loom powered by a pedal and the craft “Juyao”. The craft “Juyao” is rather old, similar to that used by the Banpo clan six or seven thousand years ago. 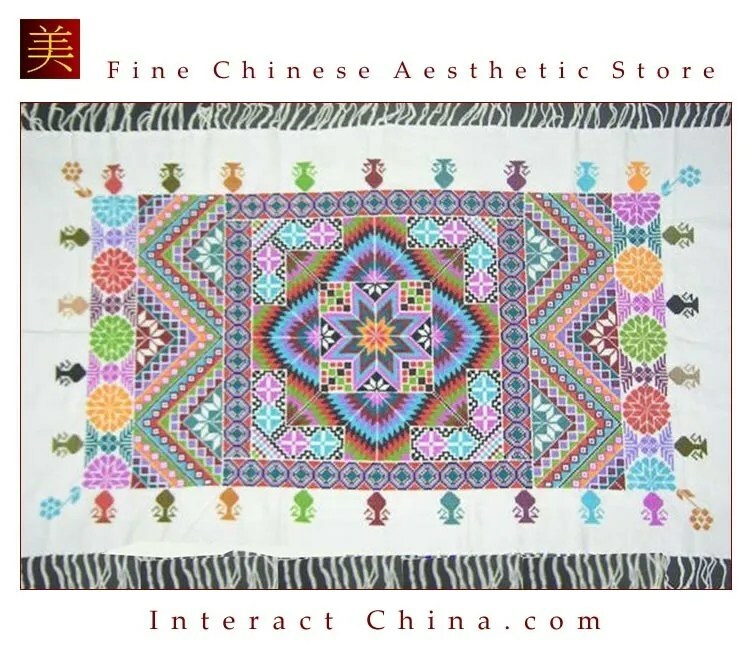 Li women could use the “Juyao” craft to weave exquisite, sumptuous and complicated patterns. The loom is even far ahead of the big modern jacquards in jacquard weaving technology. Knot dyeing, known as “Jiaoxie” in the past, played a major role in the textile printing and dyeing of the Li. The raw materials are knotted, dyed, spun and woven into colored fabric. The dye is mainly made from leaves of plants, flowers, bark or tree roots. Natural mineral dye is also an addition. Currently, Li-knot dyeing is widespread particularly in the Meifu dialect region. In this region, there are stands that support the fabric reserved for dyeing knots.The patterns are fine and exquisite. In the dialect region Ha, however, there is no support for knot dyeing. People tie one end of the vertical line to their waist and the other to their feet. The patterns consist of thick and irregular lines. The process of dyeing knots consists of drawing the pattern, tying, dying, re-dyeing, rinsing etc. However, the pattern decision process is often omitted by Li women, as various drawings are already in their memory. Knotting, also known as “wrapping”, plays a crucial role in knot dyeing because it directly affects the result. When the knotting is finished, the skeins are lowered from the wooden bearing and then dyed. After being dyed repeatedly too? Does not make sense on its own), they are dried to allow the indigo to be oxidized and air dried. Then the hanks are dyed repeatedly, until they reach the required color. When the dyeing process is complete, the skeins are loosened, rinsed with clear water to remove the excess color, and then dried. The vertical lines (weft) will then present a pattern. People can then weave the horizontal lines of color (chain) with the loom “Juyao”. An exquisite piece of art will then be born. The Li process of ” dyeing knots first and then weaving”, although different from the other ethnic methods of “weaving first and then dyeing knots”, not only allows the pattern to show all its fineness, but also adds more color changes and causes the pattern to have a distinct color gradation. Such a kind of naturally formed chromatic halo makes the brocade more exquisite and superior in its artistic efficiency. The Li 黎族 (Lí Zú) is one of 56 ethnic minorities living in China. Their population was just over 1.2 million at the end of the 20th century. The majority of the Li live off the south coast of China on the island-province of Hainan, where they are the most numerous natives. Welcome to the third part of our introductory series to the ethnic minority groups of China. Today we take a closer look at neighbouring Tibet and the wonderful culture of this underappreciated land. If you plan on visiting Tibet in the near future, this blogpost will serve as a guide for all things you might need before your trip, as well as an insight into some of the incredible cultural phenomena you will get to experience first-hand! Before you head to Tibet, make sure to get your visa! Tibet Entry Permits are required to enter the country if you are a non-Chinese citizen. You don’t want to get off to the wrong start on your trip. Probably the most important thing to know is that it is a good idea to get into good physical shape before your trip, as the average altitude is around 4500 meters (14700 feet) above sea level, so there’s a chance you may suffer from altitude sickness. Despite the sub-freezing temperatures, many Tibetans go barefoot!!! Interestingly, the boiling temperature of water is so low at this altitude, that boiling water from a pot would not burn human skin! Due to the average altitude of the country and its many plateau’s, Tibet has been referred to by many as “the roof of the world”, with its incredible vistas from the top of Mount Everest. Tibet is also home to the world’s highest plateau. The 37000 glaciers that accompany it provide water to more than HALF OF ASIA, which if you think about it, is truly incredible for a nation of its size and socio-economic position in the world. Tibet has many incredible views, including Namtso (Lake Nam), which is commonly referred to as “Heavenly Lake” in European literature, as well as the Potala Palace. The efforts required to deal with the altitude in Tibet will all be made worthwhile by the breathtaking (not that you need anymore breath to be taken away haha) views and cultural experiences! In the image above you get a chance to take a first look at the Potala Palace, formerly the residence of the Dalai Lama until the 14th Dalai Lama fled to India during the 1959 Tibetan uprising. Today, it is used as a museum and one of several World Heritage Sites in the country. The palace contains over 1000 rooms, 10000 shrines and around 200000 statues. If that doesn’t show you how much religion means to this country, then nothing will. 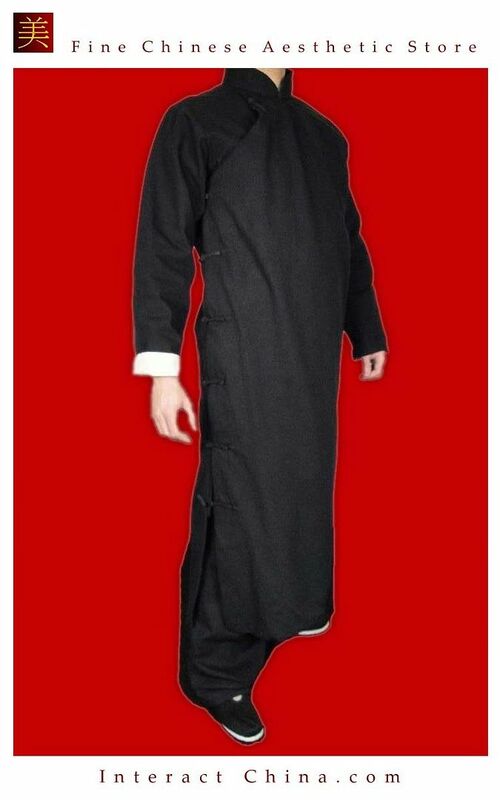 A lot of jobs in Tibet are religion-related, as religion is a daily, if not hourly practice. 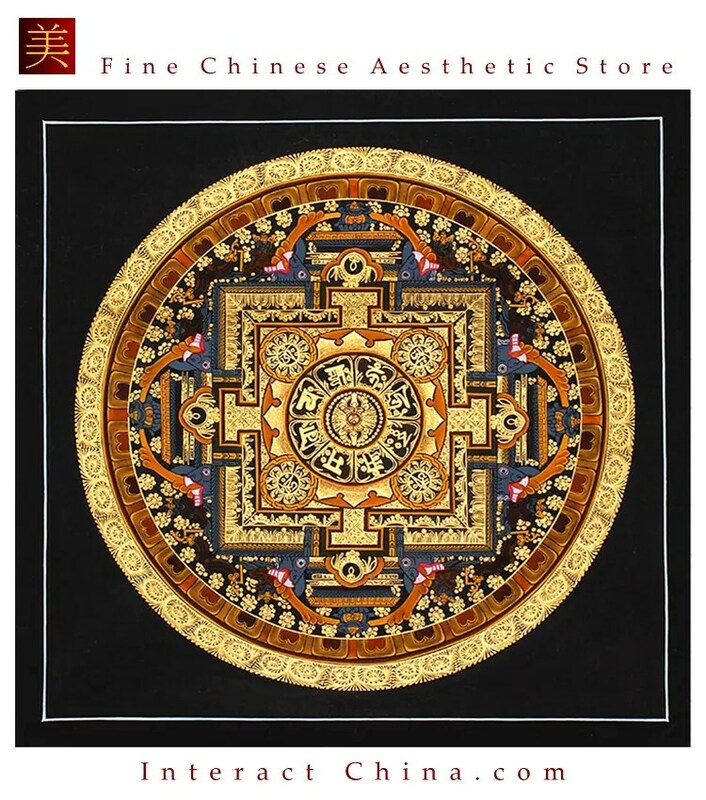 Some jobs including carving stones with Buddhist scriptures, woodblock scripture painting and Thangka painting, a traditional form of Tibetan Buddhist painting, are an extremely important part of Tibetan culture. Tibetans spend years mastering these arts and can spend months or even years on a single piece. The carvings and paintings will often contain scriptures or the story of the Buddha in meticulous detail. Merit is of vital importance to Tibetan Buddhists and can be gained through participating in a variety of activities. Tibetans spend much of their time praying, spinning prayer wheels (as seen above) and hanging prayer flags. All these activities earn them merit. It is also important for them to send their sons to monasteries, participate in pilgrimages, do good deeds and present gifts to lamas in order to further increase their merit. P.S. We Need People with Similar Passion to Join Our Blogging Team! 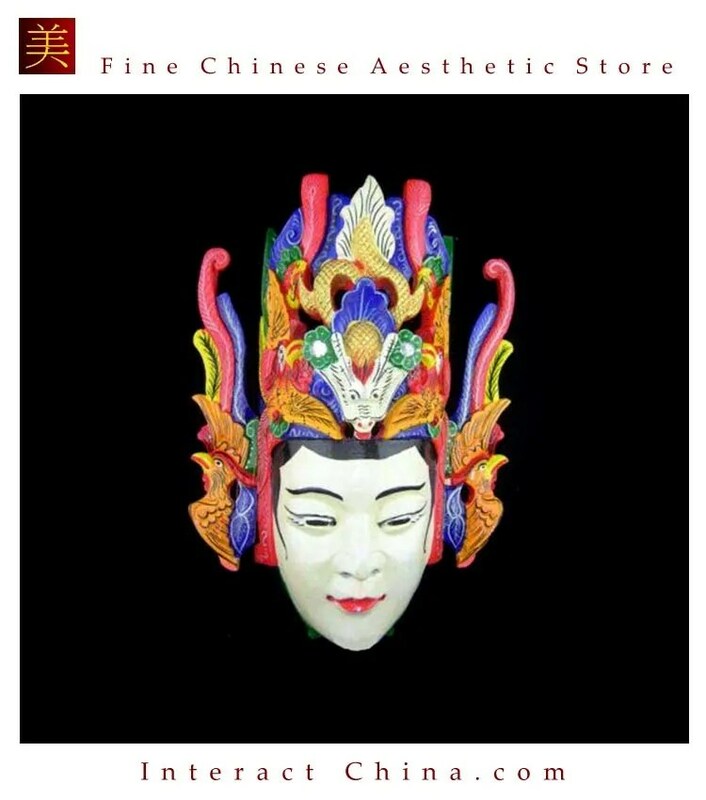 If you have passion to write about Oriental Aesthetic in Fashion, Home Decor, Art & Crafts, Culture, Music, Books, and Charity, please contact us at bloggers@interactchina.com, we would love to hear from you! In the second blogpost in our new series, I am going to be introducing you to yet another fascinating ethnic minority group. This month’s focus will be on the Dai people located mainly in Southern Yunnan, China. They are one of several ethnic groups located within the Xishuangbanna Dai Autonomous Prefecture and the Dehong Dai and Jingpo Autonomous Prefecture. In total there are around 1.2 million Dai people in China, but there are many more in Burma, Laos, Thailand and Vietnam. They are closely related to both the Lao and Thai people and there are several terms in the various Tai languages to describe more specifically the 7 Dai groups. In this blogpost, I hope to take you on a journey through some of the main Dai areas and to introduce you to their most important customs and traditions. Let’s first take a look at traditional Dai villages and the modernisation process which they are currently undergoing. Traditional Dai houses are square or rectangular and have two stories. On the upper floor the families spend their quality time together, and on the lower floor the Dai people keep livestock and food. On the upper floor there is normally a dining room, a study and a specific room for receiving and welcoming guests. This room is of vital importance to the Dai culture. The main reason for the raised houses in to protect the top floor from flooding. The areas in which the Dai people live have an incredibly wet climate and are therefore constantly at risk. Now that we have a deeper understanding about the living conditions of the Dai people, let’s look at some of their most interesting customs and traditions. The annual Water Splashing Festival takes place during the New Year of the Dai calendar and is also referred to in the Dai language as “Shanghan” or “Jingbimai”. The festival usually lasts three days. In the first two days there are dragon-boat races to say farewell to the previous year. The last day is reserved for “lucky” activities which welcome in the New Year. The festival is quite religious and includes several visits to a Buddhist temple. 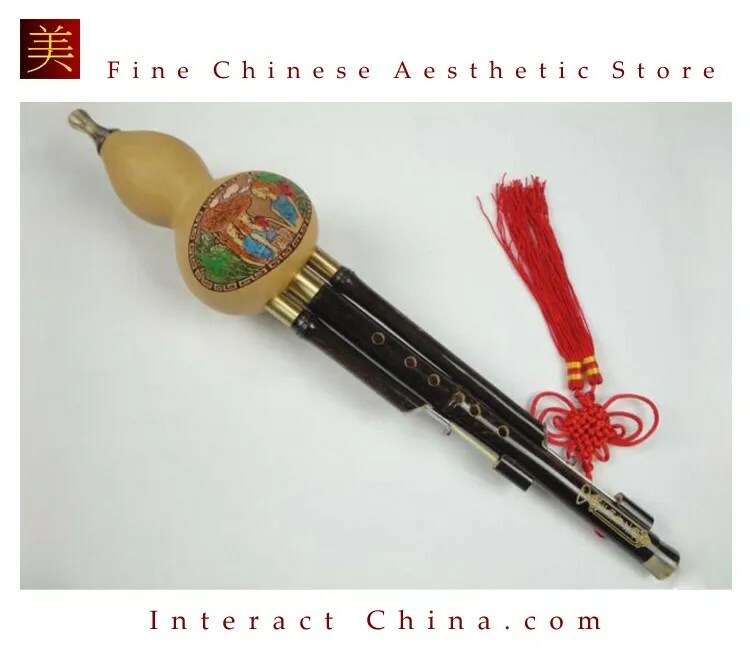 If you are interested in studying the hulusi, you can find an excellent selection available on our site at – http://www.interactchina.com/hulusi-flute. The Dai are a very hospitable people and will always take in guests, except during a pregnancy within the household or shortly following a family death. During these times it is important to stay well clear of the Dai house, which will be marked by a bucket hanging near the door of the house. The Dai diet consists largely of meats, fish and a variety of rice’s depending on the region and particular group. Other seafood is also extremely popular. Bamboo shoots are very common. We hope that you have enjoyed this unique insight into the areas and customs of the Dai people and will come back soon for an introduction to another fascinating ethnic group! In this new series, it is our goal to introduce you to the areas in which the ethnic groups of China live. Each blog post will introduce you to the region and the customs of a few groups, giving advice on places to visit as well as the best times of the year if you wish to have the best cultural experience. China has 55 official minority groups and today’s post will take you on a journey through the regions of two of them, namely those of the Miao and Uyghur people. 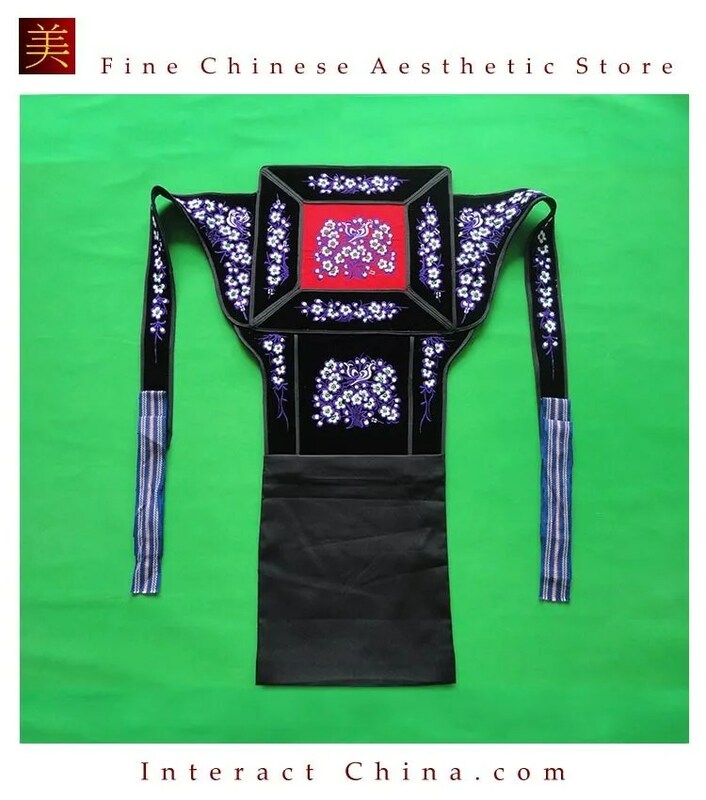 The Miao ethnic people are mainly found in Southwest China and are most well-known for their embroidered products made by the Miao ladies. The Miao ladies (often referred to as Hmong ladies) learn both Batik and embroidery from the age of six or seven and spend years mastering this craft. They use embroidery to tell stories and record their cultural heritage, which in 2006 was named Intangible Cultural Heritage by UNESCO. The Miao people live in over 700 cities throughout the South of China and number over seven million, with the around one-third of China’s Miao people living in the Wuling and Miaoling mountain range in the Guangxi Autonomous Region and in the Guizhou Province. Mount Fanjing is the highest peak in this mountain range and is found in the Guizhou province, where many Miao tribes are located. Most of these areas have a rather mild climate with large amounts of rainfall. The Miao people are extremely self-sufficient and live in houses which are one or two stories. The rear of the house is built on the mountain slope and the front typically rests on stilts. Grain is stored in the ceiling and the bottom of the house is typically used to keep livestock and poultry. The Miao people are extremely hospitable and will always keep their house open to guests, who are greeted with both wine and songs. If you visit the region, make sure you prepare for the weather, but mainly for an amazingly rich variety of high quality embroidered clothing, incredibly spicy food (mainly rice-based dishes) and an outstanding cultural experience! The second ethnic group which we will discuss in this post is the Uyghur people. They are a Turkic ethnic group found across East and Central Asia. The majority of Uyghurs live in the Xinjiang Uyghur Autonomous Region in Northwest China. This region borders several countries such as Mongolia, Russia and Kazakhstan amongst others. The borders of this region are largely occupied by several mountain ranges including the rugged Karakoram, Kunlun and Tian Shan ranges. The Eastern portion of the Tianshan mountain range in Xinjiang was named a UNESCO World Heritage Site in 2013 with the rest of the range following suit in 2016. Modern-day Uyghurs are primarily Muslim and constitute the second largest Muslim group in China after the Hui people. This traditional music is often accompanied by the Sanam dance which is a popular folk dance. It is commonly seen at weddings, festivities and parties. It is a group dance which is most often seen during Newruz (New Year) and the dances are often accompanied by singers or people playing the traditional Uyghur hand-drum known as the dap. Uyghur food is a combination of Central Asian and Chinese cuisine. One of the most famous Uyghur dishes is polu (known also as pilaf) and is typically served with carrots, mutton and rice. When visiting an Uyghur area, be prepared for similar levels of hospitality, lots of meat-based dishes, hauntingly beautiful music and traditional clothing such as the Chapan and Doppa. We hope that you have enjoyed this unique insight into the areas and customs of the Miao and Uyghur people and will come back soon for an introduction to another selection of fascinating ethnic groups! Have you heard of the Hmong people? The Hmong are one of the ethnic groups referred to as the Miao in China- the name is sometimes interchangeable. Did you know that there are actually a large group of Hmong people living in America? Many of the Hmong in America were initially resettled after the Vietnam War, fleeing as refugees from a homeland that had been rendered unsafe. Initially, in 1975, only around 3500 Hmong people were granted asylum in the United States, but by 1980 there were 30,000 Hmong people living in the United States. The number of Hmong refugees in America slowed for a bit during the early 1980s but increased again between 1987 and 1994– at this time 56,000 Hmong refugees were accepted into the United States. As of 2018, the Hmong population in the United States is around 281,000. In comparison, there are around 9.4 million Hmong people living in China (China is the country with the largest Hmong population in the world). Needless to say, the Hmong population in America is small, but they are still a very significant ethnic minority in the United States, and they represent a unique and fascinating culture. Initially, Hmong refugees in the United States were dispersed throughout the country by various organizations and often placed in poorer neighborhoods, which at the time consisted of primarily African American residents. Over time, however, the Hmong people generally moved together and consolidated so they could be around other Hmong people. Nowadays, the highest concentration of Hmong people in America is in the states of California, Minnesota, and Wisconsin. St. Paul, Minnesota is interesting in that it has the most Hmong people per capita in the United States (roughly 10% of St. Paul is made up of Hmong people). Why is this? The cost of living in St. Paul is much lower than some other parts of the country, and jobs (such as factory jobs) were more readily available. So, living in St. Paul allowed Hmong families, who were disadvantaged in a capitalist society, to afford the necessities for a successful life. Hmong Americans have historically faced many challenges. However, the new generation of Hmong Americans is educated and displaying a large amount of social mobility. One struggle for Hmong Americans is the question keeping in touch with their traditional culture. Many young Hmong Americans feel like they need to identify with American culture in order to fit in, and that a lot of traditional ideas are incompatible with modern society. However, while many young Hmong Americans feel it is necessary to reform some of their traditional ideals (e.g. more rights for women and no teenage brides,) they still keep in touch with their old culture by celebrating holidays and dressing up in traditional garb. While there is still a lot of work to be done to eliminate poverty Hmong American communities, ultimately, the story of the Hmong in America is an uplifting and inspiring one and truly representative of the famous ideal of the ‘American Dream’! 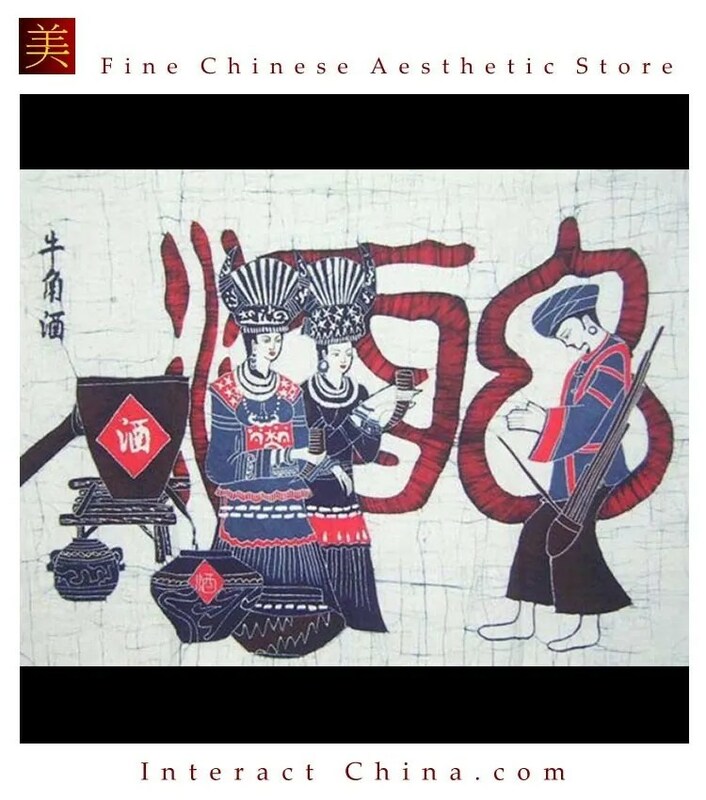 Are you familiar with the culture of the Miao people? In the West, you may have heard of the Hmong people; the Hmong have the same roots as the Miao. Today I want to share with you the beliefs and customs the Miao people have toward regarding child-rearing and pregnancy. Long before a newborn baby leaves the mother’s womb, Miao parents consider many things about a newborn baby’s future. It is customary for Miao people not to widely discuss a pregnancy with others, fearing that if word gets out the baby is at risk to be harmed by evil spirits. So, it is common for an expecting Miao mother not to make any announcement until it is physically apparent that she is pregnant. During childbirth, mothers and mothers-in-law help out, while the father helps cut the umbilical cord and washes the newborn. Just like in the West, having a baby is a big event in a family’s life and requires participation from many members of the family. Another belief prevalent among the Miao people, is that a child must be born on a “right” day in order to have an auspicious future. For the Miao, this means girls being born on even days (e.g. 2, 4), and boys being born on odd days (e.g. 1, 3). The Miao calendar follows a lunar cycle and begins with an odd day until 29 or 30 days, when it resets. The Miao people aren’t the only ones to follow the lunar calendar– in fact, all ethnic minorities in China celebrate their traditional holidays in accordance to the lunar calendar. But after a child is born, what is his or her future growing up in Miao society? Well, traditionally, the Miao people follow gender roles, where the man is expected to provide the material and spiritual needs for his family, and the woman is expected to raise the kids and maintain the household. Parents often hope for a male child because a son is able to continue the family line and provide sacrifices to ancestors, as well as take care of his aging parents. For spiritual reasons, Miao custom dictates parents are not allowed to live with a grown-up daughter and son-in-law, and so parents fear they will lack a sanctuary to reside in at old age if they do not have a son. This is why if a Miao woman’s first child is a male, it is said she has brought her family good fortune. Of course, times are changing, and we do not know what the future will look like in Miao society. It may seem like some of these traditional beliefs are limiting, but it is important to acknowledge the role of tradition in fleshing out culture. And it is clear that the culture of the Miao people is very fascinating. If this interests you, you can check out more information about the Miao people on the Interact China website, or in other posts on this blog! China is home to 56 different ethnic groups, giving place to a great variety of different wedding customs and rituals. Although nowadays it is frequent that couples decide to wear modern Western wedding clothes, many preserve their tradition and cultural background. Let us look at some of the most beautiful wedding gowns of five Chinese ethnic minorities. The main feature of the Miao’s wedding attire is the finely embroidered dress and the intricate silver ornaments. 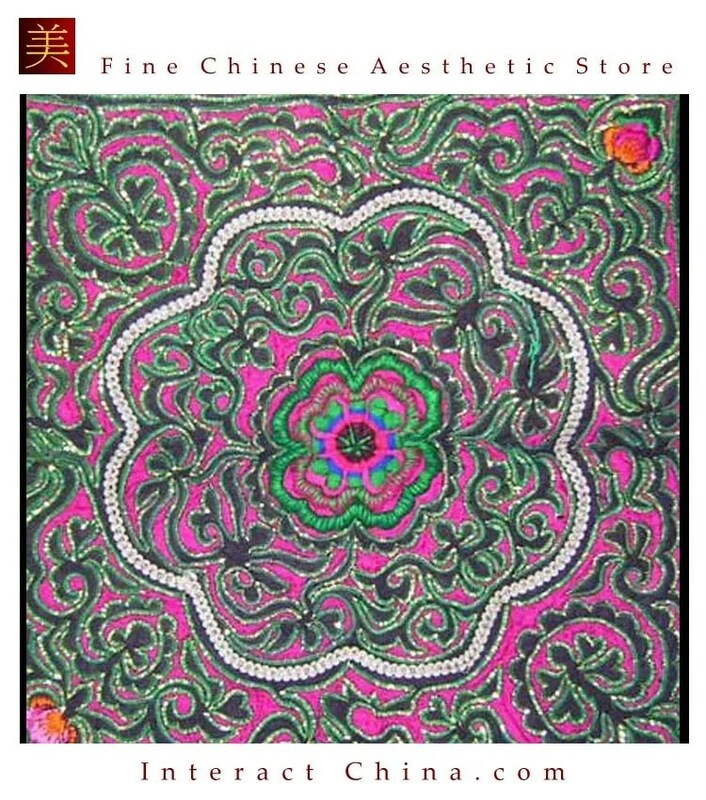 Embroidery is a traditional Miao skill that girls are taught by their mothers since a young age. The first work of embroidery that a girl undertakes, at the age of seven or eight, is her wedding dress, which she will finish the day of her marriage. 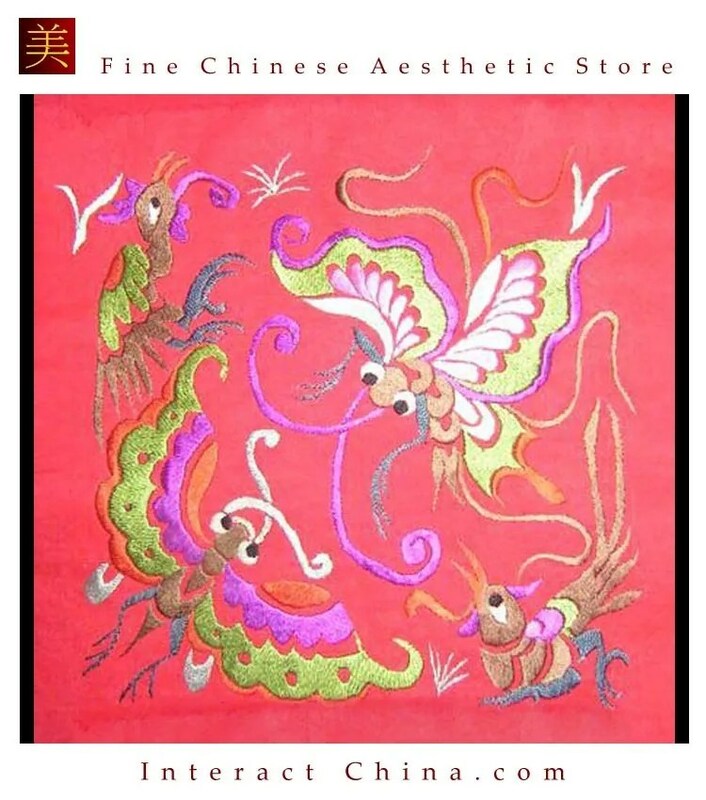 In the Miao culture, the ability of a woman to produce beautiful embroidery is as important a marriageable asset. The bride’s finely embroidered wedding dress is complemented by silver jewelry. It is comprised of silver tiara hairpins, combs and earrings, a silver collar and chains, silver chaplets and necklaces, as well as rings and bangles worn on the wrist and the ankles. Parents start collecting silver jewelry for their daughter’s wedding as infants. 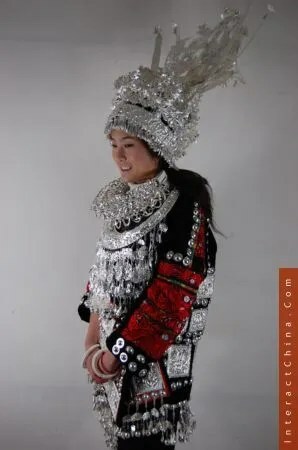 On the day she gets married, a Miao woman can wear up to 10 kg of exquisitely fashioned silver. 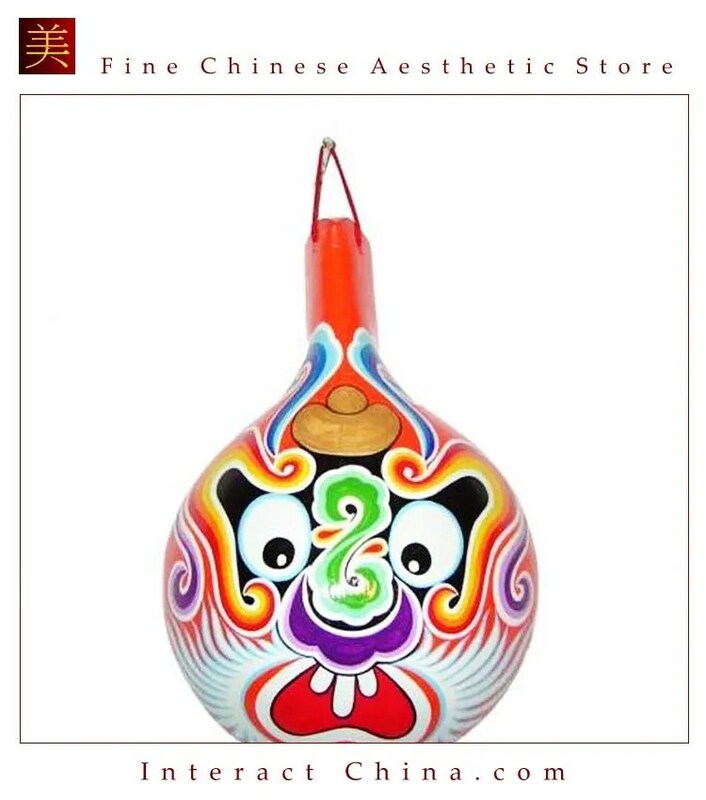 The more the merrier, as these ornaments are not only a symbol of feminine beauty but also a sign of social status representing the bride’s family wealth. The Hmong people are a sub-group of the Miao ethnic group. Wedding attires of this minority are very colorful and are usually made of pleated batik with appliqué decorations. Women typically wear a skirt and a jacket, both of which are covered with an apron that is worn in front of them and tied at the back. The jacket and the apron are decorated with multicolored beads. The bride also wears a big embroidered headdress that is also adorned with colorful beads hanging from it. The Qiang people mainly live in mountainous regions in the northwestern part of Sichuan province. The female wedding attire is an ankle-long red dress and an apron tied around the waist. Embroidery has a deep cultural value for the Qiang people, and just as it is the case with the Miao, women get taught this skill from a young age. Therefore, the wedding dresses are decorated with rich embroidery, usually flowery patterns. The colors most used are red, blue, yellow, green, and pink. 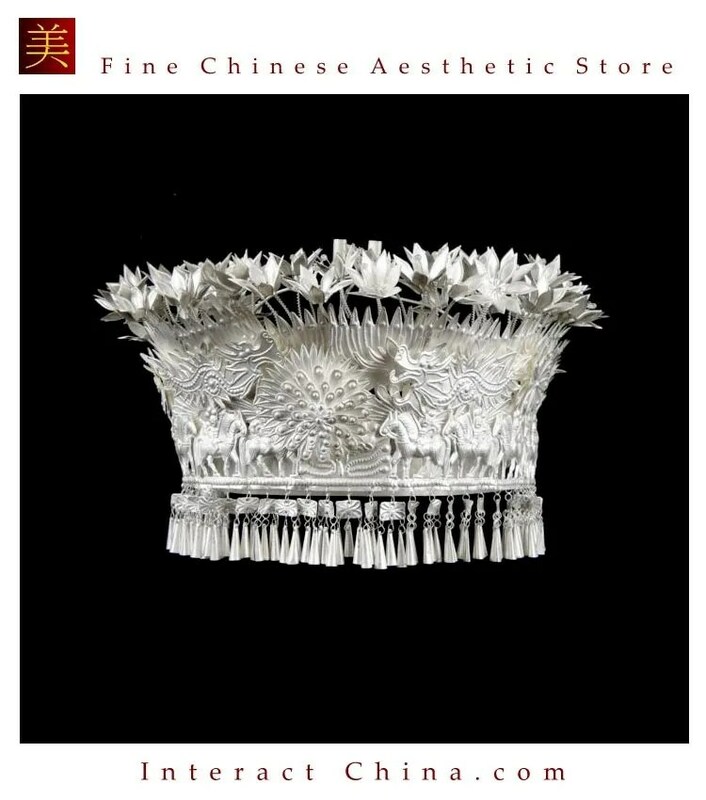 Brides also wear a vertically-inclined embroidered headdress with plum blossom ornamentation. Qiang people wear YunYun shoes, a kind of handmade cloth shoe that has the shape of a boat and has cloud pattern on it. Just as in the Western culture, Bai brides wear white at their wedding. However, instead of a long dress, they wear a top and pants. 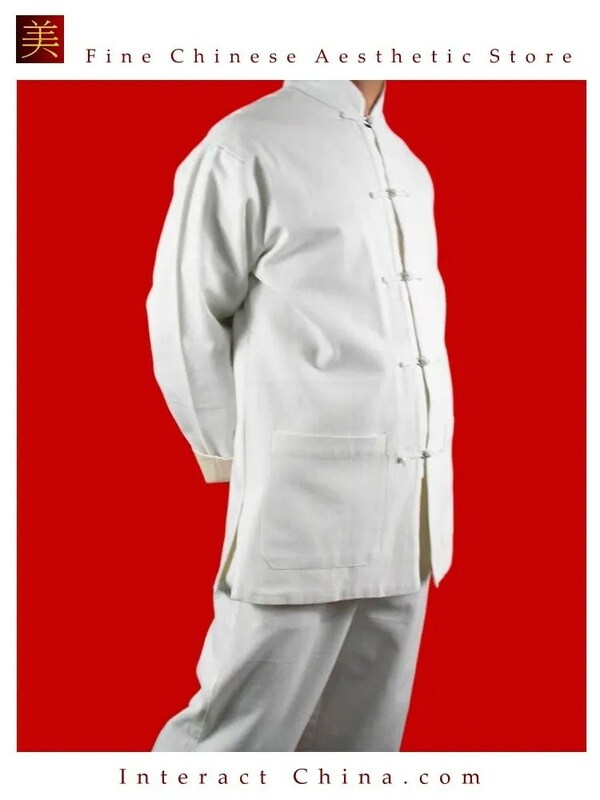 White is the favorite color of this ethnic minority, representing dignity and a high social status. The other dominant color of the Bai wedding attire is red. 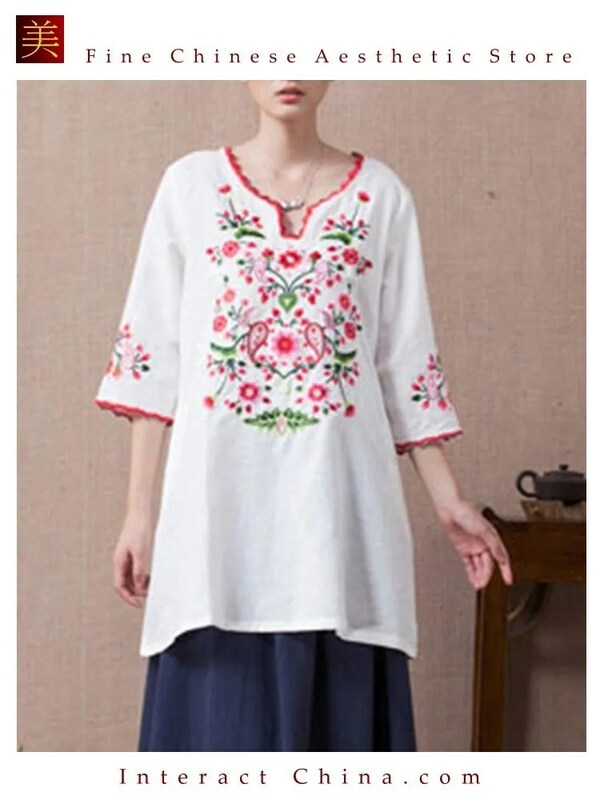 Over these garments, Bai women wear a delicate and finely embroidered waistcoat and apron, which tend to be red, green, light blue and rose; and are adorned with camellia flowers because they are believed to symbolize beauty. Depending on the area, Bai women also wear charming headdresses that nicely match with their clothes. Although the traditional Bai wedding attire has some colorful touches, it maintains a simple yet elegant style. Mongolian couples wear traditional clothing called Del which is made from cotton and silk with patterns. Typically, the groom wears dark colored Del and the bride lighter colors such as red and pink. 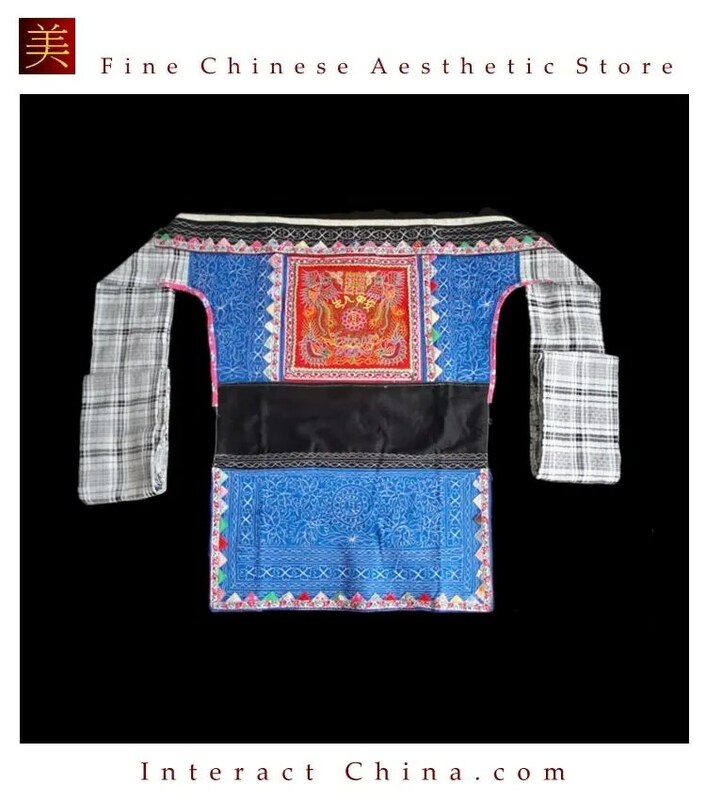 The female tunic is long-sleeved and is decorated with intricate appliqué brocade. Brides also wear elaborated traditional jewelry around their neck and hanging from their hair. Gemstones and semi-precious stones such as Turquoise and Sapphires are favorites of the Mongolian people. A headdress is worn by both the groom and the bride, but its shape and adornments vary from place to place. Elaborately detailed filigree and brilliantly colored enamels are the signatures of Mongolian jewelry making. 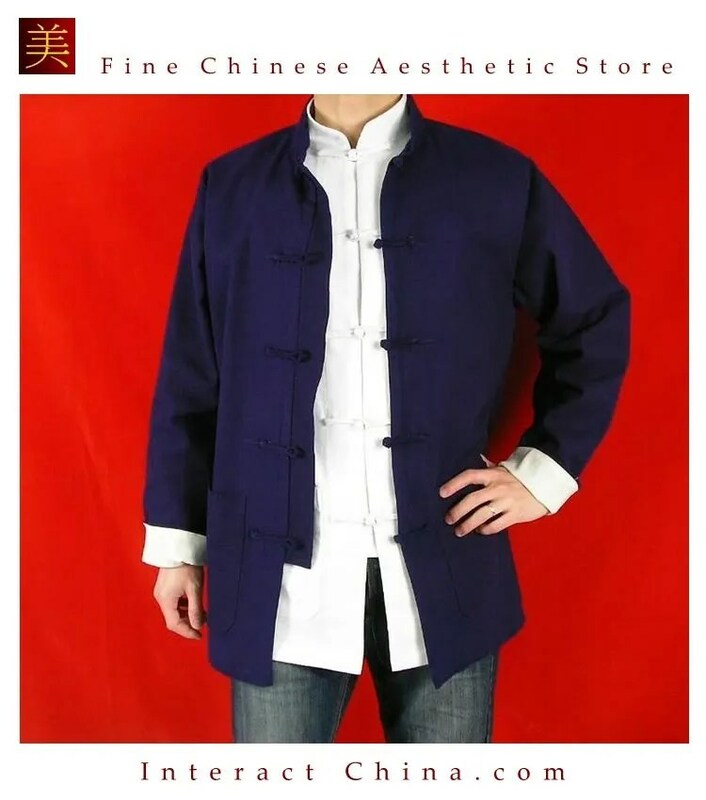 This traditional technique has distinctive Russian and Chinese influences and follows a process that has remained unchanged for generations. The filigree work is typically hand-fashioned with tweezers using silver wires which are shaped into flowers, butterflies and other subjects. 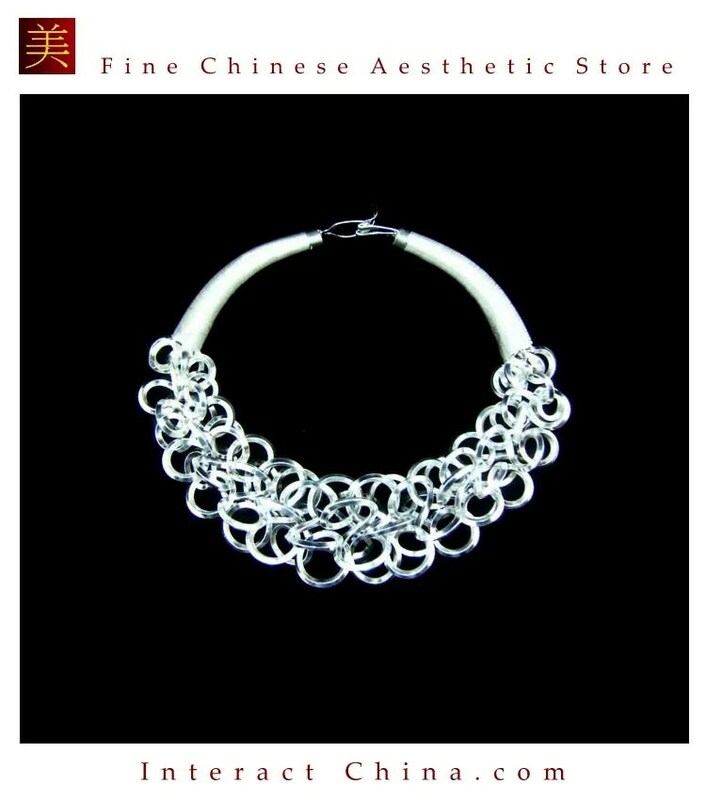 At approximately 1700 degrees F, the wire structure is then carefully fired in a kiln where they are fused together with silver dust. This first process provides the framework for the piece. 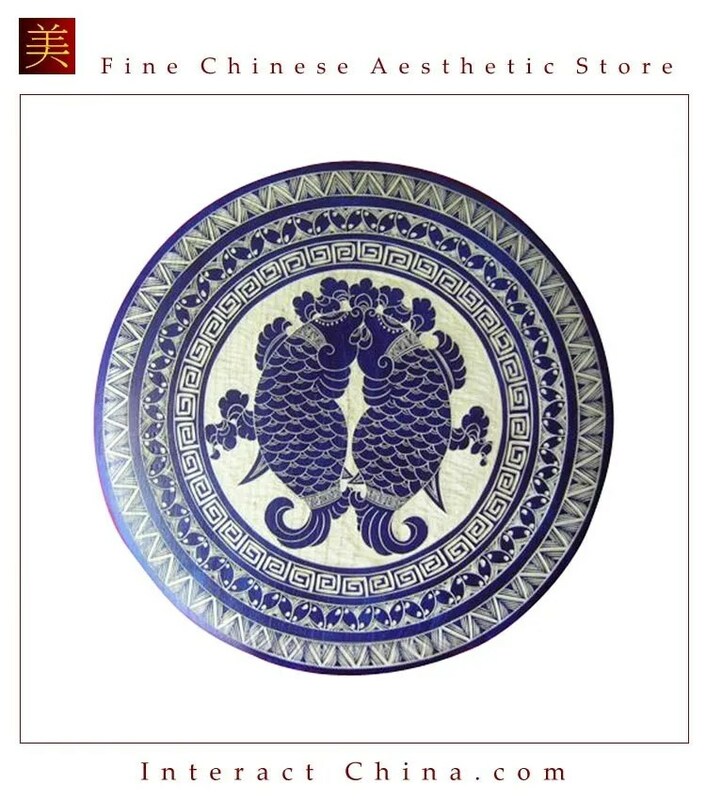 Fine enamel powder is then blended and packed into the frame, and briefly fired in the kiln again several times at 1500 degrees F. During this second firing, the enamel fuses into a durable glasslike finish. Finally, gemstones are set, and the piece is typically plated with 24KT gold. 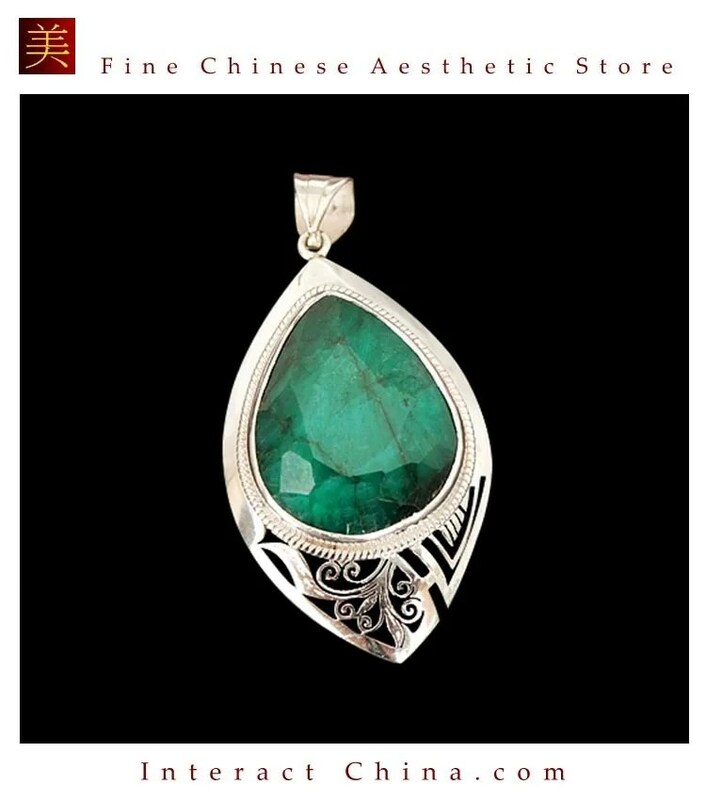 Stones such as Chrysocolla, Rhodocrosite, Chrysoprase, Water Sapphires and Black Star of India are favorites of Mongolian artisans. Semiprecious stones like Garnets, Lapis, Amethyst, Madeira Citrine, Onyx and Turquoise are also popular in traditional Mongolian designs. The work is exacting and demanding, since working with any filigree frame could involve destruction of the fragile framework. The artists are all extensively trained in the basic techniques and over time are considered master craftsmen. Interestingly, because filigree and enameling are very different skills, many Mongolian jewelry items require two artists to complete. No one artist is trained in both procedures. Many of the young people of the area are turning their backs on the old ways and going into urban areas of China to make lives for themselves. It is an endangered and dying art form and because of the sheer beauty and quality of the jewelry, several museums around the world are selling the works of art in their museum shops. They consider it a Chinese cultural treasure. Although it is sterling silver and very sturdy, it is made of hundreds of fine wires. The brilliant colors are achieved by the use of enamel powder, kiln-fired to create “glass”. Consequently, gentle care should be used with these unique pieces. Keep in a plastic bag with the air expelled to minimize oxidation. Clean with a liquid cleaner acceptable for use with pearls, lapis, turquoise or other porous stones.